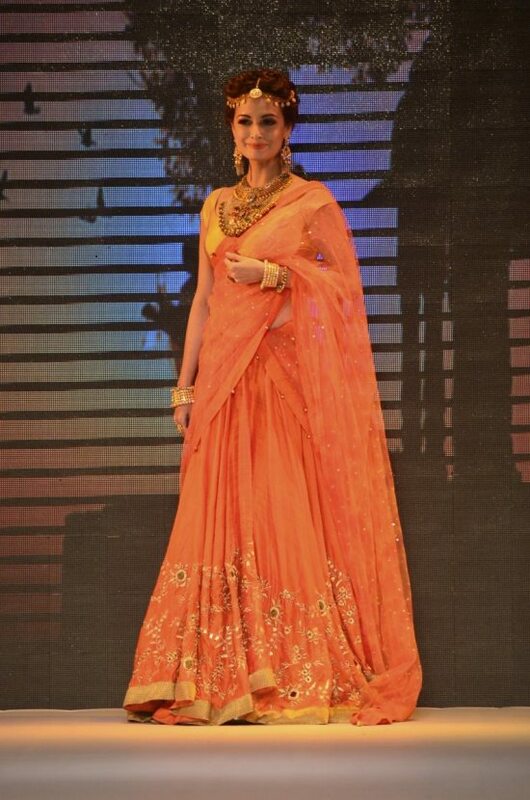 Dia Mirza glows on the ramp the at the IIJW 2014. 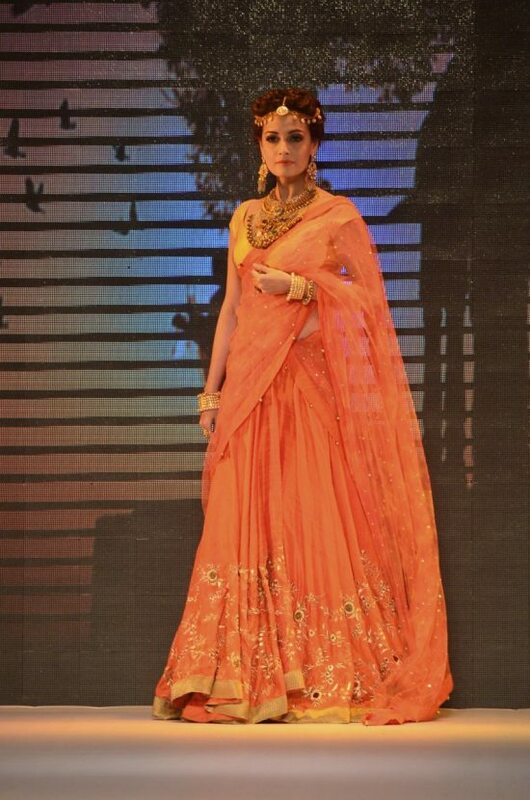 Bollywood actress Dia Mirza walked the ramp at the India International Jewellery Week (IIJW) 2014, being held at the Grand Hyatt Hotel in Mumbai on July 14, 2014. 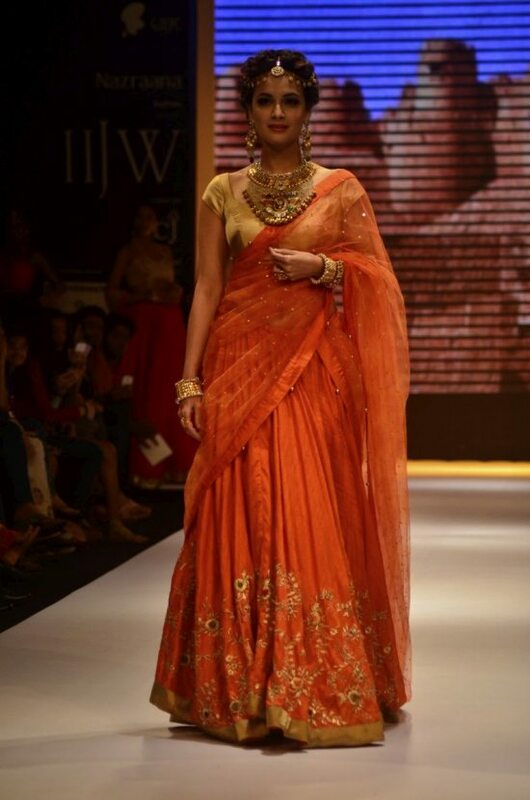 Dia ironically captured the essence of her name – Dia traditionally means holy lamp – as she sauntered down the ramp in an exquisitely glowing orange and gold lehenga adorned with Shobha Shringar’s finely crafted jewels. Colors of the flame illumined the ramp as Dia showed off her dainty, but stunning gait. The bride-to-be stunned in an elaborate bridal ensemble, the hues of orange and gold illuminated the demure beauty’s lissome figure. The intricately designed heavy neckpiece contrasted beautifully with the golden short sleeved choli. Onlookers were wowed with the former Miss Asia Pacific’s perfect elegance on the ramp.